The next stocking needs a little more work. I might push this to the UFO 2012 list. All of the stockings are now up and hanging along our stairway to greet our visitors. I could easily be a person who leaves up Christmas decorations all year long...they are just so cheerful. One year our tree (artificial) was up until February. Are you someone who has your tree down by the New Year? I'm pretty close to the North Pole so it just never seems right to take it down...what if Santa stops by in July? Let me tell you...I see a lot of men throughout the year that look like Santa to me! You just really never know. I met my weekly goal again! I cheated a little. I didn't get the bear done so I borrowed one from another stocking for the photo. I've been working on this stocking for at least four years...the accessories were the problem. See the peppermint candies...those were supposed to be paper-pieced and in green and white. I just couldn't get them to turn out to my satisfaction so I decided to look for buttons. It took years to find and they were a little pricey but they definitely "make" the stocking. What I love about making these stockings is the variety of techniques each one incorporates. In this one I made the eyelet lace from the designer's excellent instructions. There is usually traditional patchwork, traditional or fusible applique, paper piecing, stuffed bears to make and sometimes clothes for those bears. I love it when the bears have clothes. Can I finish another stocking for this week's goal? I need to hang my stocking collection this weekend so I hope this one will get to join the party. Also on the wall is my quickie quilt top that just needs some borders. It is -13 at my house...I am doing my best to stay inside where it is warm...time to start decorating for Christmas. I don't know how much actual decorating I will get done but I'm going to really enjoy revisiting all my handmade goodies that have been packed away since last January. First up...more bear stockings. Since I'm married to a pilot, this is the stocking pattern that started it all 18 years ago when I saw it in a quilt shop in Utah...so it's kind of my husband's fault. This little detachable bear was always traveling to other stockings when my boys were younger. He has a little parachute...thankfully he has never needed to use it. Where there are planes...there are often trains. This little bear has a cute kerchief around his neck. matching hair bow! She snaps to the stocking so we don't loose her. I was a beginning quilter when I started these stockings and I learned so much with each one...I absolutely love them...they are my most precious "quilts." I guess Tonka was more anxious to open the mail than me. It's good to find out about Tonka's box attraction before the Christmas presents are put under the tree. No fat quarters were harmed. Major splurge...less than $2 per fat quarter....Kaufman batiks. A screaming deal. Excuse me while I indulge in textile therapy. I had a much needed day of quilting. (My brain was going to explode if I didn't take a break from looking at lighting fixtures). It was my monthly meeting day for Breakfast Club and today we tackled a quick project called "Sidelights," by Kari Nichols. I took the opportunity to raid my stash and did it up in batiks (of course!). I had everything cut out before our meeting except the outer most border so that's where I stopped today. I "biggie" sized my version and added an extra block so my quilt will be a generous lap...maybe even a twin. I'll figure that out when I cut my borders. Very fun to get a quilt top done so quickly that looks pretty cute! Almost everyone got as far as I did...one person actually finished his top. I hope everyone brings their completed tops next month so I can get a picture of them all...they were all so different. 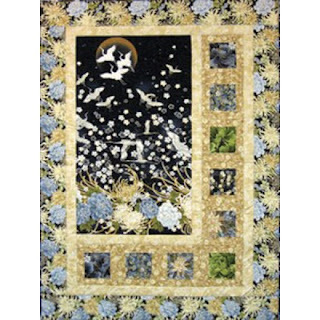 This is an incredibly fast quilt to put together and if you have some panel prints sitting in your fabric stash you might want to think about actually making them into a quilt. I avoid panels so I didn't have any to use but several ladies did and...wow...they looked great! I also shared my completed ballet stocking and brought along a few of my other favorites to share. Check out Hearthsewn Patterns to see more bear inspired designs. I feel like a celebration is in order. I have met my sewing goal for the week. I finished this stocking. the credit goes to Jodi Warner of Hearthsewn Designs. This is the 16th stocking I have made from her patterns with detachable bears...and I still have five of her designs I haven't finished yet. Christmas stockings are a bit of an obsession with me as you will learn more about in the coming weeks as I share my Christmas decorating. I suppose it's my grown-up substitute for making dolls clothes. I do have a tip to share regarding piping. My favorite piping stuffer is yarn. I picked up that trick years ago when I made hand-smocked clothing. Much softer and cheaper than cording and yarns come in all kinds of widths. It works great for me. I also finished this ornament. It was a nice break for my hands...they got sore from hand quilting. Since this week went so well I might as well set this stocking as the goal for this week. I know...two posts in one day! And I'm not even trying to avoid anything...I just felt like blogging. I was gathering my snow gear...putting some waxy ointment on Tonka's paws to combat ice balls in between his toes. By the time I was ready to go on the dog walk the snow had stopped. Forty minutes later we were back home and the snow started again. That never happens! And we didn't have any "run-ins" with other dogs. Weekend walks can be so hectic I often take the dogs separately but I decided to risk it today and it was the right choice. Everything went our way today. We stop often to look for...who knows what? I think she's hoping to find a french fry someone threw out their car window. No luck today. Jenny and Tonka are very food motivated...my hand is in the "treat" pocket so I'm getting lots of cooperation. This was much more fun than going to Costco like AK Santini decided to do today. Here's a little weather pic outside my sewing studio. No animals in sight today...but you just never know when a moose is going to pass through. Christmas is my favorite holiday and Alaska winters definitely need some Christmas Cheer. It's time to start decorating...especially getting those bright lights up everywhere to combat the darkness. But first I had to hit a local quilt shop that had a 30% coupon off anything in the store. I bought a new book. I do love Carrie's books. My favorite part is to read how she came about the name for each quilt. What a talent she has for writing. She was a great companion while I was eating lunch. I am through with hand quilting the front of this stocking. I need to sew a little bear in a tutu and add some embellishments. Maybe I will get it done by Monday and make my one, and only sewing goal for the week! Someone wants to take a walk in the snow. He knows I ate two cookies with my lunch. I'm sure he's just thinking about my health. Just got a little sympathy whine from Jenny...and another one. I bet we won't be the only ones out walking in the light snow. Git R Done. Decorate later. Not enough sewing happening in my life...new house duties are overwhelming me. Lighting is pretty important...especially in my far north location. It has consumed me for a month. I'm almost there. It has been snowing like crazy the last week and most especially...this weekend. So add lots of time clearing snow into the equation. It is beautiful, fluffy snow. It's mostly a good thing. Jenny and Tonka think it's the best! They want me to be done picking out lights too, I'm a little distracted on our walks. It dawned on me that I've had several stockings in the "almost done" category for several years. 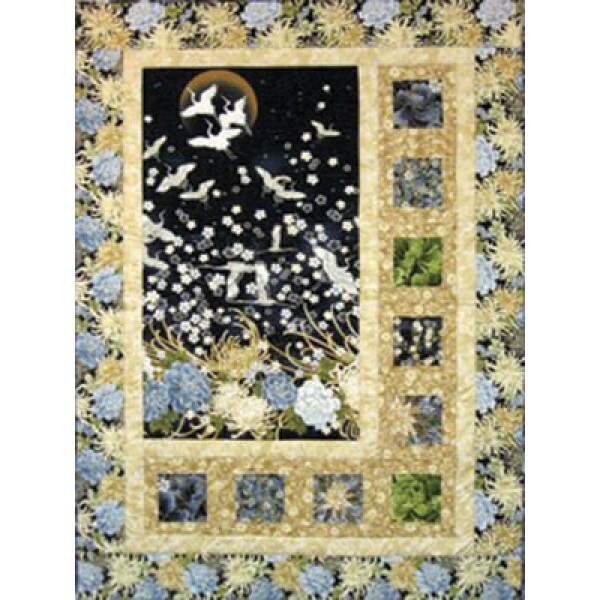 Here is my only quilting goal this week. Get one stocking done. First up is to finish the the hand quilting on the front and back pieces. A cute little bear sits inside the top ballet slipper. I am always looking for an excuse to hangout in the studio. It's snowing! Works for me. Baby #1 - Jenny - is asleep on the couch...we just went for an hour long walk...it wasn't snowing yet. Baby # 2 - Tonka - he wanted to walk longer so he is following me around the studio. I'm in need of textile therapy so the laundry, hairy floors (see above babies) and dinner preparation will have to wait. It's a snow celebration.